Carole Marsh Mysteries, 9780635074485, 158pp. 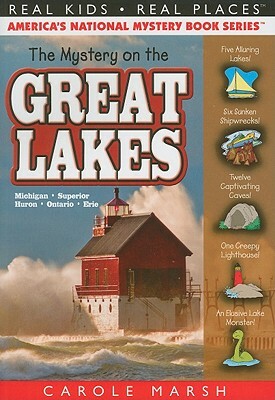 "Christina, Grant, Mimi and Papa fly the Mystery Girl and take the mystery boat, Mimi, to all the Great Lakes on a wild and watery, adventurous mystery of shipwrecks, haunted lighthouses, and island intrigue!"--P. of cover.